Geothermal energy is the clean energy and has enormous potential in fulfilling the energy needs for some of the countries. Geothermal energy does not produce waste or generate greenhouse gases and is actually free which means it costs nothing. Since it is the heat contained inside the earth and that heat will be produced for long period of time even when non-renewable resources would start to diminish. However, to harness that energy comes with the price tag, since you need some method to extract that energy from inside the earth. 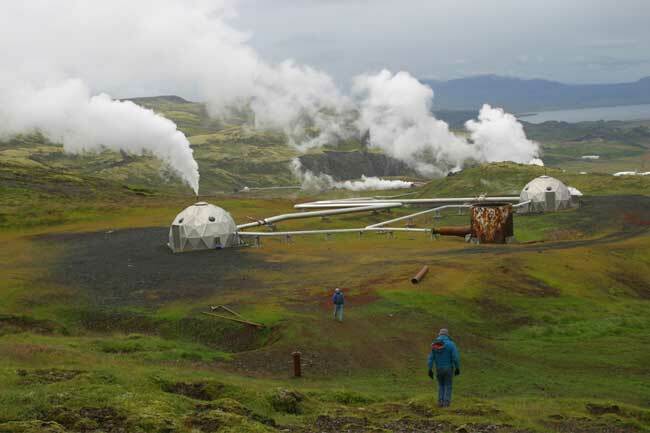 The most common method to extract that energy is through the use of geothermal power plant. The other method which is mostly used by residential households is by the use of underground pipes. The investment costs, mainly in drilling and equipment of the pipes accompanied by the cost of the pump. The main factors which can influence the decision for the use of geothermal energy are geographical exploration to identify a suitable site, development of the site, construction of the power plant, hire skilled professionals who can operate the plant and transfer skilled manpower to those locations. Other factors which also come into the picture are cost to the environment, operation and maintenance. If you are a residential consumer, the main costs associated with it are labor, fitting of long pipes under the ground. However that cost can soon be recovered within few years with the advantages that it offers in the long term. Homes can have residential solar powered systems that supply both heat and energy, along with a geothermal heating system. If compared this cost to the installation of heating system that uses fuel or and any other energy source, that cost of installing and maintaining a geothermal heating system may cost more by a significant amount. But, once the system is installed the costs associated with the geothermal heating systems are much less than other heating systems. Governments of various countries offer incentives and rebates to residential as well as industries to make use of geothermal energy where it is possible to harness that energy. Everyone pays huge bills to heat or cool their homes that has long winters or hot an humid summers. Then cost of geothermal energy can easily recovered in the long term advantages that will accrue to the customer. Geothermal energy offers a great solution to high energy bills. With this, your dependence on the fossil fuels will be decreased and you will help in making this world pollution free.